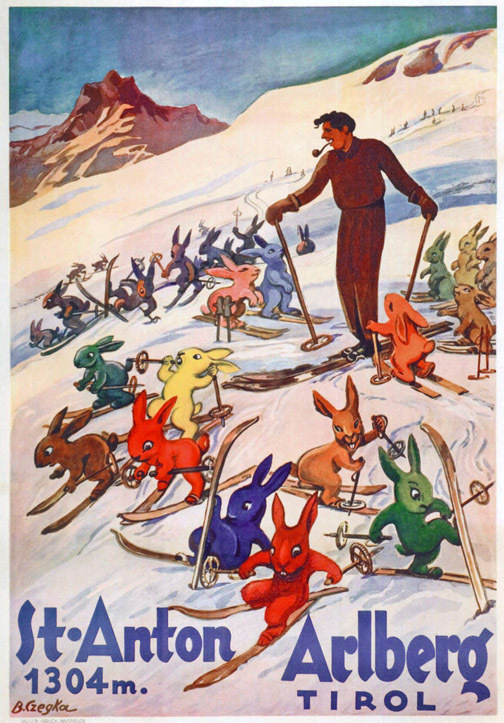 I am sure you have seen many versions of travel posters over the years. They are quite the "in" item to collect. 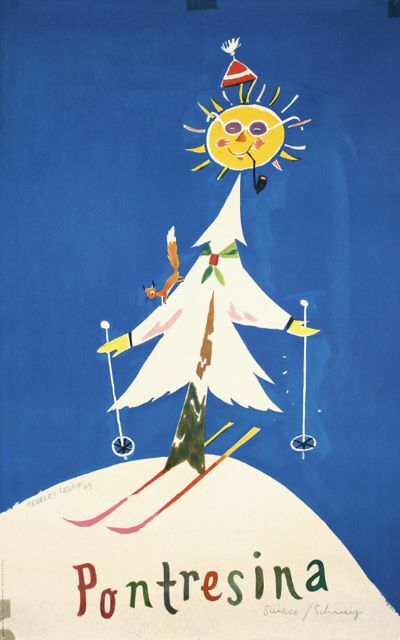 Vintage ski posters are no exception. Happy couples posing with their skis, people racing down a mountain, or just a picturesque slope or cross-country trail tempted you to be the first to make an imprint on the snow. Then, of course, there are the quirky ones. You know the ones? Animals skiing, trees and snowmen that have to try their turn on the slopes, or the slopes themselves represented in a unique way. Today I present to you a collection of these such posters (selected via Google and Pinterest). I hope you enjoy them as much as I do. I, myself, am inspired to try my luck at cross country skiing this year.